The official launch event of the Ikey Tigers Supporters Club. Q&A Session featuring Robbie Fleck and John Dobson, hosted by Tank Lanning. The FNB Ikey Tigers were able to secure yet another win as they fought through muddy conditions on Saturday to beat Brackenfell 17 – 11. There is not much time for the players to rest, as they host Belhar on Wednesday evening in their second last match of the season. “It was a mud bath to say the least. We played in horrendous conditions, against a very physical team on a narrow pitch, and we know that narrow pitches don’t fit the type of rugby we like to play at UCT,” explained Esterhuizen. “They deserved their lead at halftime, but the second half was all us. The main difference between the two teams was our scrum. We completely dominated them in there, and Rob Anderson kicked the ball and made it hard for their back three,” he added. While the match was never likely to result in a large score line, Esterhuizen stated that he is happy with his team’s strong performance given the circumstances. “We were even camped on their try line for some time and we really wanted to get that bonus point, but I’m glad that we were able to hold on and get the win,” Esterhuizen said. Looking ahead to their next game against Belhar, the team will be looking for that full eighty-minute performance that sometimes eluded them earlier in the season. “We don’t really know what to expect against Belhar, because they are a team that can either really show up or not show up at all. What we do know is that they are a team that never stop playing, they perform for the full eight-minutes. So from the very beginning, we’re going to be aggressive and lay down the law and hopefully win the physical game,” Esterhuizen concluded. 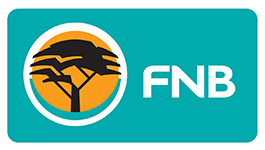 The FNB Ikey Tigers will take on Belhar on Wednesday, the 17th of August at 20:20 at Groote Schuur A. 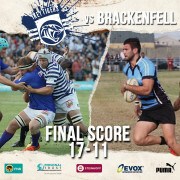 With only three games left of the season, the FNB Ikey Tiger are up against Brackenfell in their next game. The two teams are close to each other on the log, and recent results suggest that this will be a tightly contested game. “I’ve watched some of their games so I know they’re a good side. They’ve won seven matches so far, so they’re in a similar position to us on the log,” explained head coach Christiaan Esterhuizen. “They had a close game against Victorians and they only lost by a bit. We drew against Vics, so that’s a good measure of what we can expect on Saturday,” Esterhuizen added. In terms of team news, Esterhuizen noted that around four players from last week’s team are set to miss out on this game due to them all having the flu. 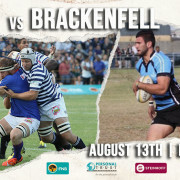 The FNB Ikey Tigers travel to Brackenfell A on Saturday, the 13th of August to take on Brackenfell. Kick-off is at 16:00. After that, their remaining fixtures include a game against Belhar before they clash with a high flying Hamiltons side. Former UCT Ikey Tiger and ex England 7s player Mat Turner along side Ur7s South Africa have started a Beach Rugby Series held on Camps Bay beach, starting the 16th of August. It will be held every Thursday night until the 1st of September with the finals day being played on Sunday 10th of September. 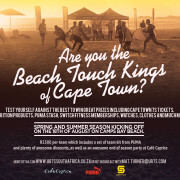 The Beach Rugby Series Finals day on 10 September is not to be missed, with lots of giveaways and a great after party hosted by Café Caprice. 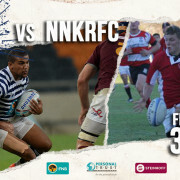 After a disappointing draw against Victorians last time out, the FNB Ikey Tigers bounced back with a 31-13 win against NNK.